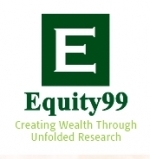 - Candidates required as Research Analyst for Indian Equity Market. - Thorough & in-depth research, develop research ideas and communicate the same to clients. - Analyzing and synthesizing research findings to develop valuable insights and strategic recommendations for the clients. - Ensuring compliance of all SEBI requirements. - Supplement sales team in meeting revenue targets with multi-bagger ideas and/or exceptional service resulting in additional revenue specifically for service. - Designing and creating error-free, client-ready presentations in a timely manner. - Regularly interacting with the sales team members of the company to recommend stock ideas to clients. - Initiating coverage, result updates, company sector developments, management meeting notes, essential to the work. - Interacting with clients, analysts, fund managers, etc. - Building and updating all financial models for historical, annual and interim financial and operating data of all companies under coverage. - Building relationship with corporate for coverage.